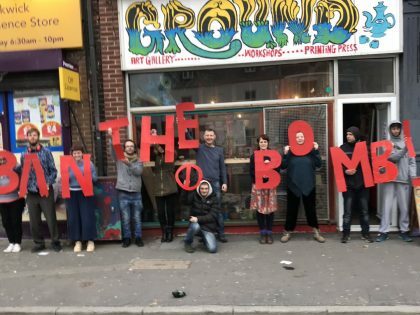 Yorkshire CND is opposed to the possession of nuclear weapons by any state. “unique characteristics of nuclear weapons … the use of such weapons in fact seems scarcely reconcilable with respect for [the principles and rules of law applicable in armed conflict].” (Opinion, para 95). Nuclear states suggest that they need nuclear weapons as a deterrent – to use in retaliation if threatened by others. However, the possession of nuclear weapons creates an imbalanced and insecure world and does not create true human security. It is entirely hypocritical for states who own nuclear weapons to tell others that they should not have them – particularly if the nuclear states are suggesting that they only need them for their own protection. If that is the case why shouldn’t others also possess them for that purpose? During the cold war nuclear weapons led to the arms race. By 1986, it is estimated that throughout the world there were 40,000 nuclear warheads – the equivalent of one million Hiroshima bombs. Many of these warheads remain and missiles are standing by on ‘hair trigger alert’ status, ready to be launched at a moments notice. Not a secure situation at all. The possible possession or development of Weapons of Mass Destruction also continues to be the cause of conflict. The invasion of Iraq in 2003 was supposedly due to its programme to develop weapons of mass destruction – although no trace of this programme was ever found. The tense international situations concerning Iran and North Korea are also due mainly to the possibility of their developing nuclear weapons. In actual fact Trident was designed and developed not as a deterrent but as a first strike system. The Trident missiles can be targeted very accurately – to within a few meters. This is something that is not required if the targets are cities and the purpose is deterrence. However, it is an essential capability for a first strike at missile silos and/or other specific military installations. The UK’s nuclear weapons system is carried in 4 submarines. One of them is on duty 24/7, ready to fire. Improve the NHS by building 120 state of the art hospitals and employing 150,000 new nurses. Build 3 million affordable homes. Pay the tuition fees for 8 million students. Install solar panels in every home in the UK. We are currently bound into a nuclear framework with the US by a unique bilateral agreement, the 1958 Mutual Defence Agreement (MDA)*. Under this agreement collaboration covers all aspects of nuclear weapons design, development and maintenance. All features of the UK system — the platform, delivery system and warheads of Trident depend on US support. The Trident II D5 missiles are leased from a US missile pool and are manufactured, tested and serviced in the US; Trident warheads are based on a US design and several of their crucial components — without which they would not work — are manufactured in the US and purchased off-the-shelf by the UK. Our system is also reliant on US software and hardware for all aspects of targeting. Nuclear weapons will not help stop climate change which is the real threat facing humanity. In fact climate modeling shows that the smoke and dust created in a full scale global nuclear war would most likely block out the Sun’s rays, preventing them from reaching the ground – resulting in the so-called “nuclear winter”. Recent calculations have indicated that even the use of nuclear weapons on a small scale (perhaps as small as the number of warheads carried by one Trident submarine) could affect the climate catastrophically. They are also of no use against the other recognized security threat – international terrorists – in fact the regular transport of nuclear materials up and down the country makes us more of a target for terrorists wishing to obtain nuclear materials. 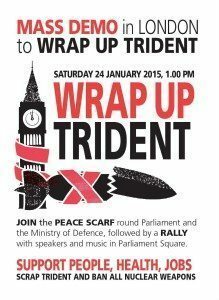 Join us for a mass protest in London against government plans to spend £100 billion replacing the Trident nuclear weapons system! After the 2015 general election, a final decision will be made on replacing the Trident nuclear weapons system. We have to send a clear message to MPs: Trident must be scrapped, not replaced. 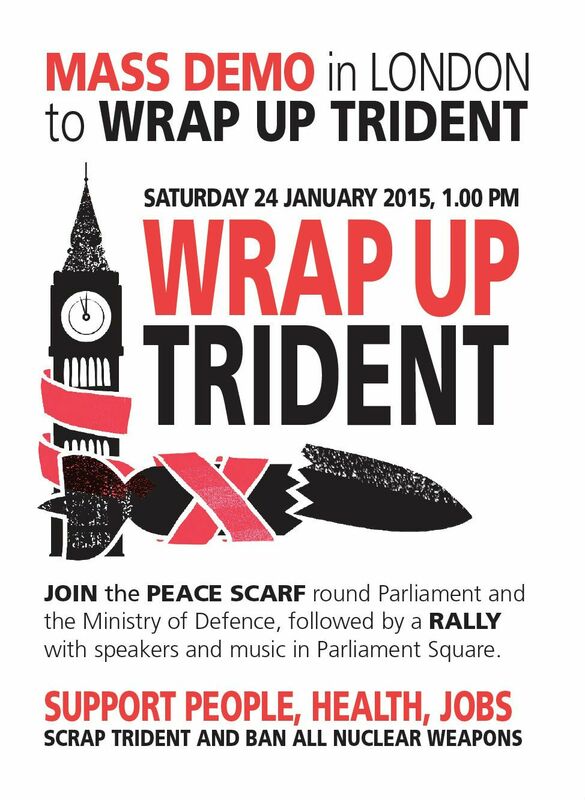 That’s why we are having an eye-catching mass action – linking government and parliament buildings in a long peace scarf knitted by thousands of people. Transport is being organised from Yorkshire – get in touch. ABOLITION 2000 is a network of over 2000 organizations in more than 90 countries world wide working for a global treaty to eliminate nuclear weapons. Founded in 1995 at the Non-Proliferation Treaty Review and Extension Conference. Abolition 2000 is an international global network working for a treaty to eliminate nuclear weapons within a time-bound framework. It is open to all organizations endorsing the Abolition 2000 Statement. The Network aims at providing groups concerned with nuclear issues a forum for the exchange of information and the development of joint initiatives. The Abolition 2000 Network meets once a year and communicates on an ongoing basis via a number of list serves and through conferences, teleconferencing, and periodic mailings. A model Nuclear Weapons Convention, drafted by a consortium of lawyers, scientists, physicians, former-diplomats and disarmament specialists and activists, was launched in 1997. 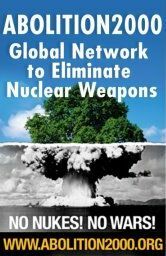 Its purpose was to demonstrate the feasibility of a framework approach to the elimination of nuclear weapons, and to encourage governments to enter into nuclear disarmament negotiations. 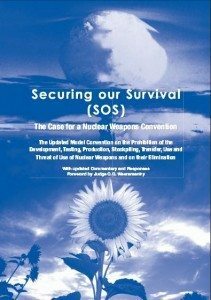 In addition, it can also be used to educate and engage the public in the progress towards nuclear disarmament.In 2007, the same groups updated the model convention and released it at the NPT PrepCom in New York as a book entitled Securing Our Survival and Costa Rica submitted this as a Conference Document. 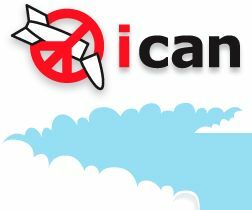 The International Campaign to Abolish Nuclear Weapons (ICAN) is an international campaign to promote the Nuclear Weapons Convention. Initiated by the International Physicians for the Prevention of Nuclear War (IPPNW), ICAN was launched at the 2007 NPT Preparatory Committee meeting in Vienna.CND has joined with Medact – the British section of IPPNW – and other organisations to launch the campaign in the UK. Many other groups all over the world are launching the campaign in their own countries, with particular support from Mayors for Peace. The Mayors for Peace is composed of cities around the world that have formally expressed support for the program Mayor Araki announced in 1982. As of November 1, 2014, membership stood at 6,374 cities in 160 countries and regions. We were registered as a NGO in Special Consultative Status with the United Nations Economic and Social Council in May 1991. A number of cities in Yorkshire have Mayors for Peace – including Bradford, Hebden Royd, Keighley, Kingston upon Hull, Kirklees, Leeds, Otley, Rotherham and Sheffield. 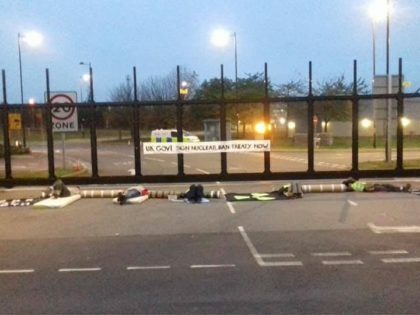 It is administered in the UK from the office of the Nuclear Free Local Authorities in Manchester. The Acronym Institute conducts research, participates in meetings, analyses developments, and disseminates ideas and information on peace, disarmament and human security in all their aspects. Our primary purpose is to facilitate the fuller and better-informed participation of civil society and nations in developing and implementing effective measures to demilitarize relations between states and peoples, promote human security and protect the environment. Reaching Critical Will is the disarmament programme of the Women’s International League for Peace and Freedom (WILPF), the oldest women’s peace organization in the world. Reaching Critical Will works for disarmament and arms control of many different weapon systems, the reduction of global military spending and militarism, and the investigation of gendered aspects of the impact of weapons and of disarmament processes.